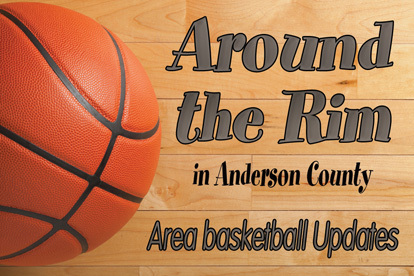 ANDERSON COUNTY – After the games held on Friday, Jan. 27, all the Anderson County teams will have crossed the half-court line in district play and will be heading towards their goal of the postseason. At the Class 4A level, the Palestine Wildcats went 1-1 over the past week. After a 67-54 loss to the Fairfield Eagles on Jan. 20, the Wildcats turned around and defeated the Tatum Eagles in a non-conference game by a score of 60-52. Palestine looked to continue its winning ways as the team traveled to Madisonville on Friday, Jan. 27 for a game against the Mustangs. As of press time, however, the score was unavailable. The Lady Cats also fell to the Fairfield Lady Eagles on Friday, Jan. 20 by a score of 42-36. The Lady Cats had a bye on Jan. 24 but were back in action as they traveled to Madisonville for a matchup against the Lady Mustangs. As of press time, however, the score was unavailable. Moving to the Class 3A level, the Elkhart Elks opened last week with a hard fought 64-62 OT win against the Frankston Indians on Jan. 20. The Elks, unfortunately, followed up the win with a 90-68 loss to the Teague Lions on Tuesday, Jan. 24. The Elks returned to action on Friday, Jan. 27 as they traveled to Buffalo for a game against the Bison. As of press time, however, the score was unavailable. The Lady Elks are in the midst of rough stretch as they have lost eight straight games. On Friday of last week the Lady Elks fell to the Frankston Maidens by a final score of 50-36. The Lady Elks also lost to the Teague Lady Lions by a final score of 68-12 on Tuesday, Jan. 24. The Lady Elks hit the road on Friday, Jan. 27 for a game against the Buffalo Lady Bison. As of press time, however, the score was unavailable. The Frankston Indians are beginning to come together as a team but are still struggling to find the win column, The Indians dropped a tough one against the Elkhart Elks on Friday, Jan. 20, by a final score of 64-62 OT. The Indians had a bye on Tuesday, Jan. 24 but were back in action on Friday, Jan. 27 as they traveled to Teague for a game against the Lions. As of press time, however, the score for that game was unavailable. Meanwhile, the Maidens picked up a 50-36 win against the Lady Elks on Friday Jan. 20. The Frankston girls were also off on Tuesday, Jan. 24 but joined their male classmates in Teague for a game against the Lady Lions, but as of press time, the score for that game was unavailable. Staying in District 18-3A, both the Westwood Panthers and Lady Panthers struggled this past week. On Friday, Jan. 20, the Panthers took on the Teague Lions and fell by a final score of 82-66. The Panthers also lost a heartbreaker to the Buffalo Bison by a score of 58-57 on Jan. 24. The Panthers tried to get back in the “W” column on Friday, Jan. 27 as they traveled to Malakoff for a game against the Lions. As of press time, however, the score for that game was unavailable. The Lady Panthers also suffered through a bad week. 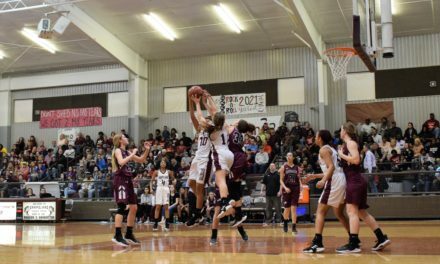 They lost to the Teague Lady Lions on Tuesday, Jan. 20 by a score of 63-24 and followed that up with a loss against the Buffalo Lady Bison by a score of 55-25. The Lady Panthers traveled to Malakoff on Friday, Jan. 27 for a game against the Malakoff Lady Lions, but as of press time, the score for that game was unavailable. At the Class 2A level, the Cayuga Wildcats are continuing to fight and finally found the win column in league play as they defeated the Itasca Cats by a score of 66-32 on Jan. 20. Unfortunately, the Wildcats dropped their next game to the Kerens Bobcats by a final of 76-31. The Wildcats were looking for that elusive “W” once again as they hosted the Cross Roads Bobcats on Friday, Jan. 27, but as of press time, the score for that game was unavailable. The Lady Wildcats also won their Jan. 20 game against the Itasca Lady Cats by a score 45-40. Their game on Tuesday, Jan. 24 against the Kerens Lady Bobcats was also close but was, unfortunately, a 55-54 loss. The Lady Wildcats were looking to pick up a win on Friday, Jan. 27 as they hosted the Cross Roads Lady Bobcats, but as of press time, the score for that game was unavailable. 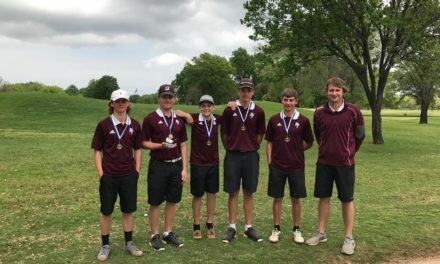 In District 21-2A, the Neches Tigers continued to roll. After an 88-48 win over the Mount Enterprise Wildcats on Jan. 20, Tigers defeated the Alto Yellow Jackets on Tuesday, Jan. 24 by a final score of 72-70. The Tigers are now ranked #12 in the latest TABC poll and hosted the Cushing Bearkats on Friday, Jan. 27. As of press time, however, the score was unavailable. Rounding out the area teams, the Slocum Mustangs opened the week on a negative note as they fell to the Chireno Owls by a score of 59-57. 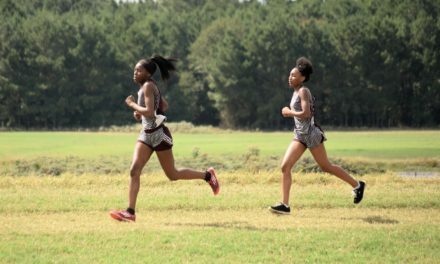 The Mustangs were off on Jan. 24 and hoped to return to their winning ways on Friday, Jan. 27 when they hosted the Trinidad Trojans. As of press time, however, the score was unavailable. The Slocum Lady Mustangs are beginning to get some notice – statewide – but slipped to the #18 spot in the latest TABC poll, following their loss to the Tyler Grace Cougars on Friday, Jan. 20. The Lady Mustangs were also off on Tuesday, Jan. 24 but returned to action on Friday Jan. 27 as they hosted the Trinidad Lady Trojans. As of press time, however, the score was unavailable.